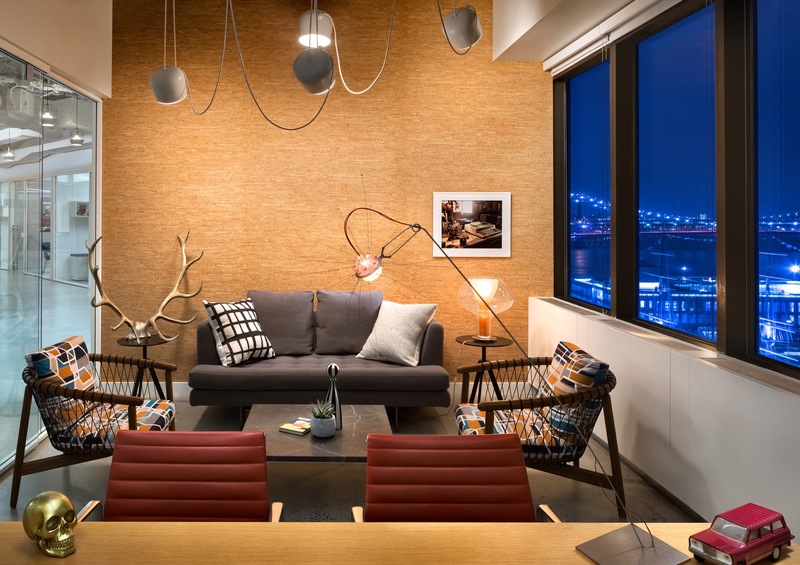 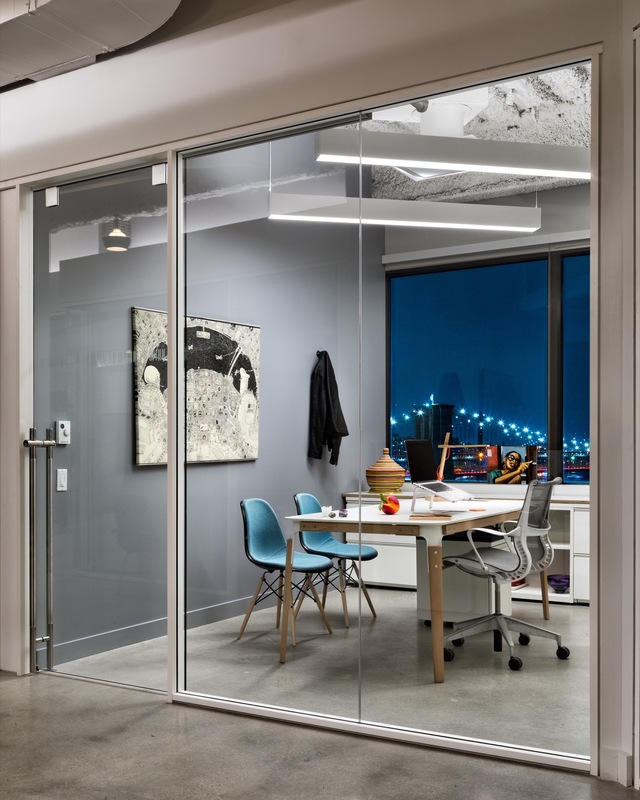 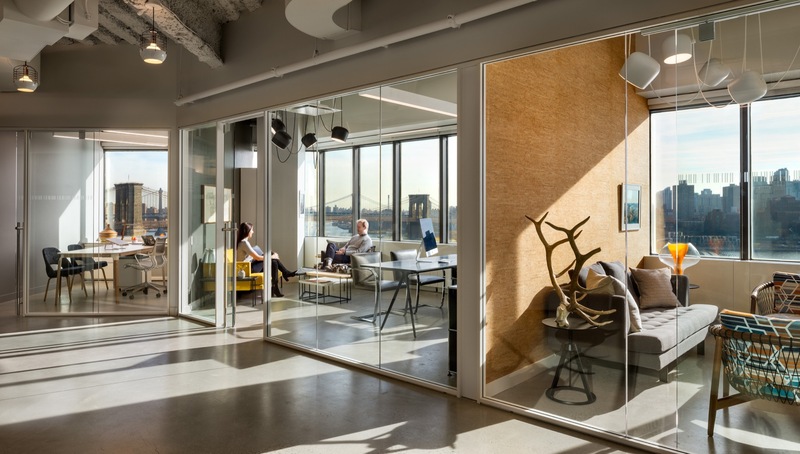 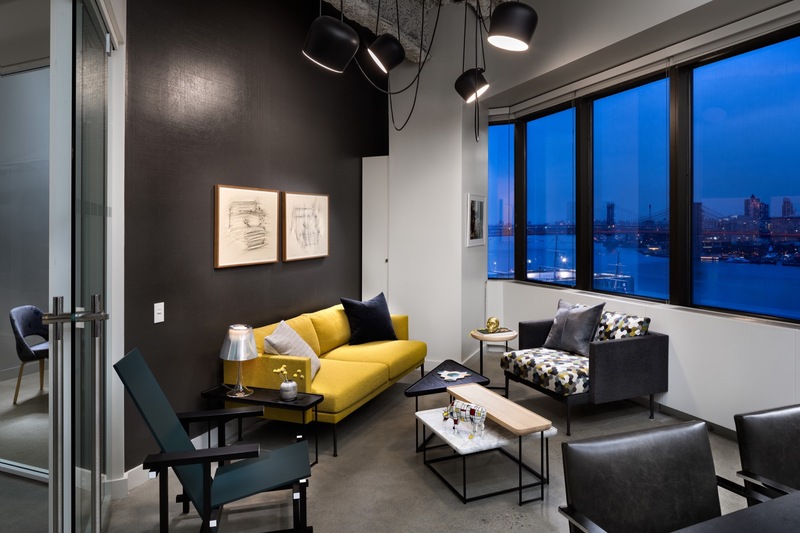 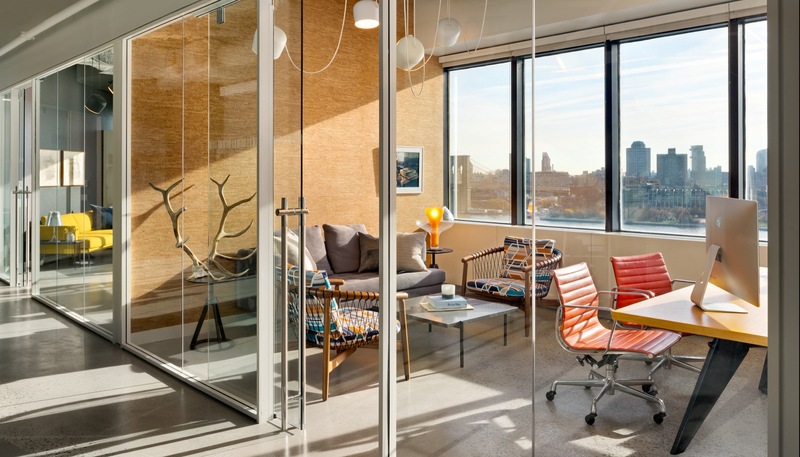 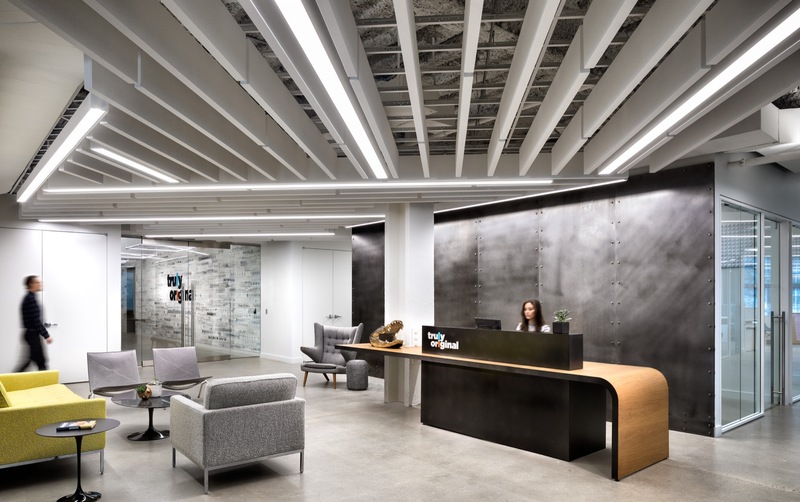 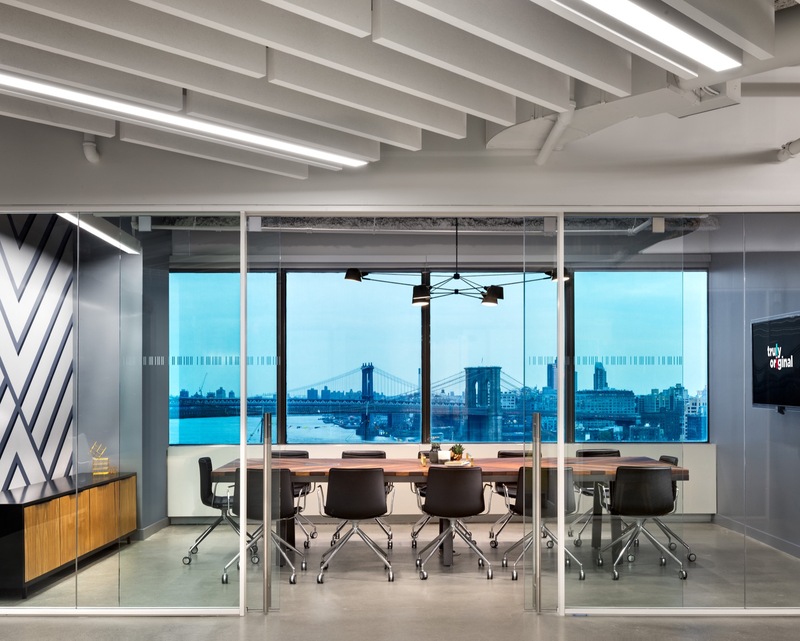 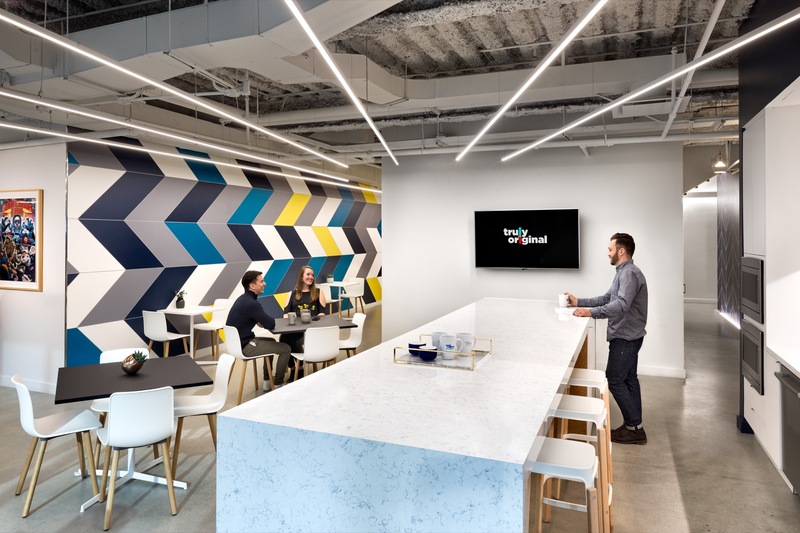 Like many media companies, Truly Original wanted to achieve the look and feel of an industrial-chic, loft-style space at their new, consolidated New York headquarters. 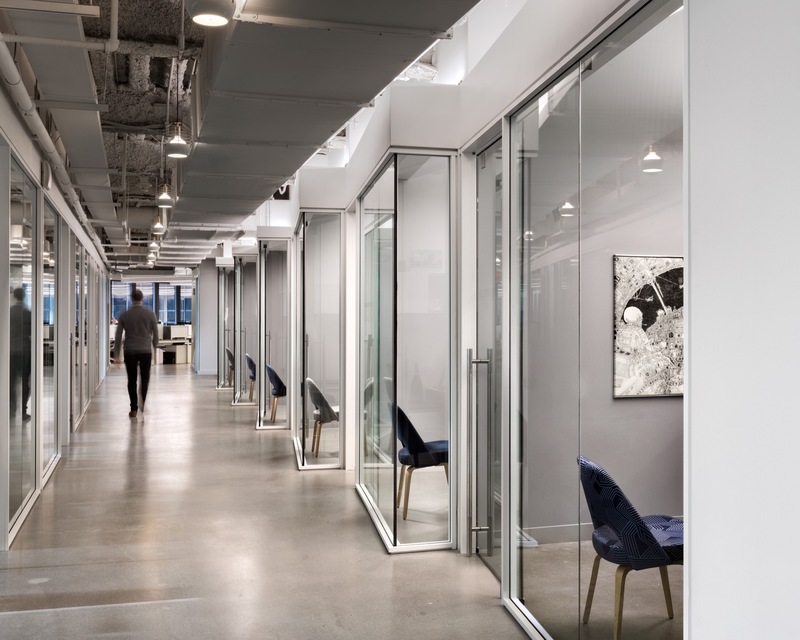 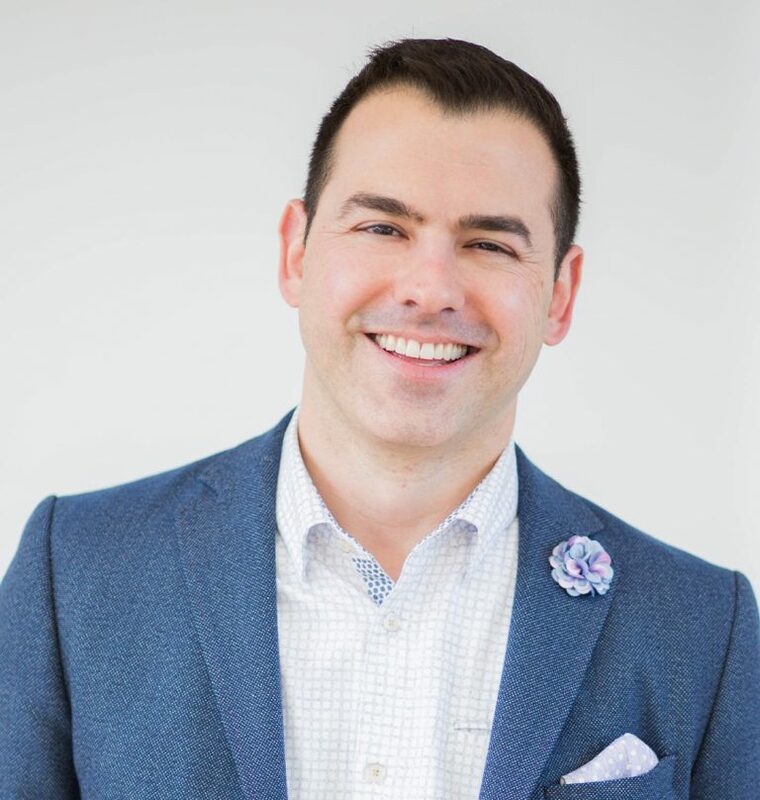 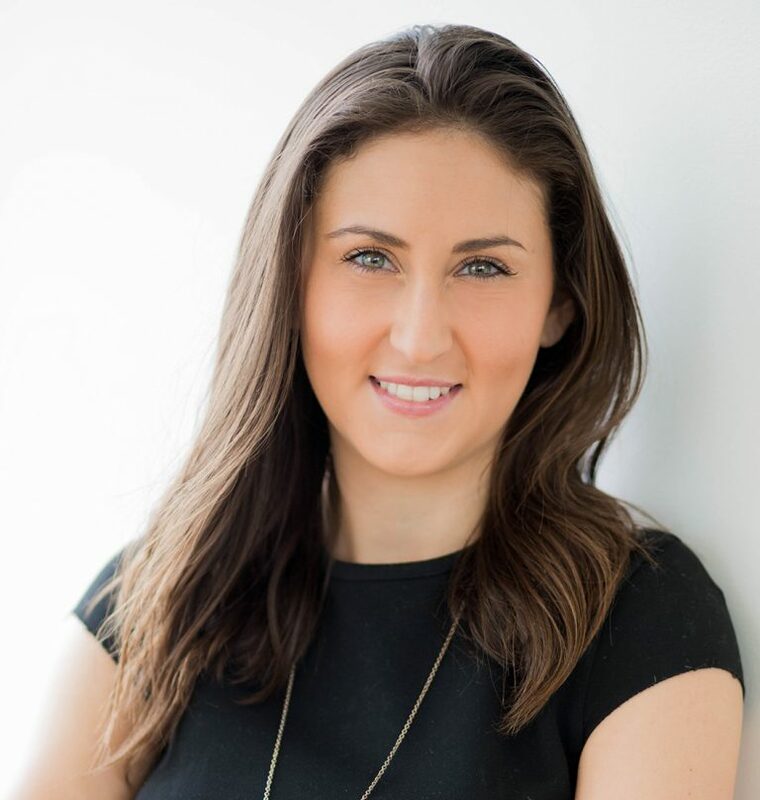 But we found that the site that most easily fit their needs—including a program requirement of 55 edit rooms and 27 private offices—was a 44,000-sf space in a Class-A office building from 1980, pretty much the antithesis of a SoHo loft. 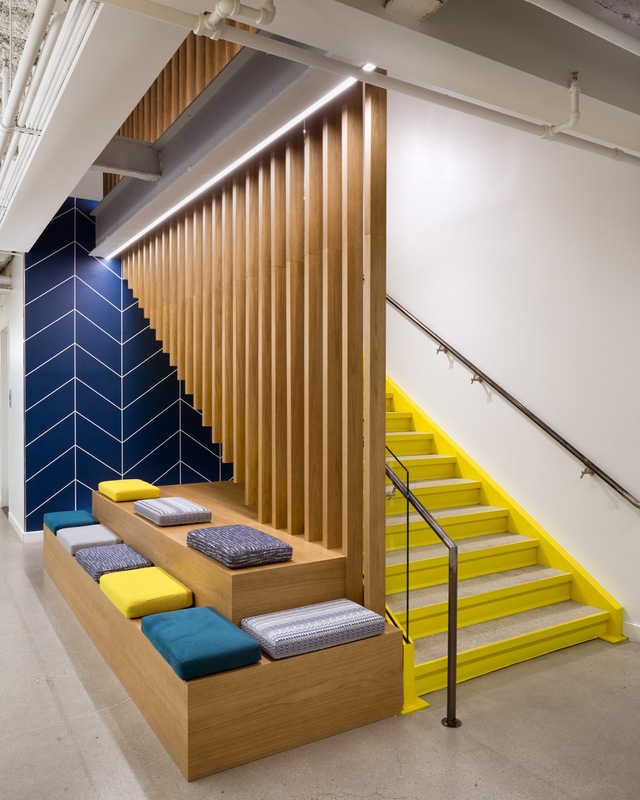 To overcome the limitations of the space while working with an efficient budget, we sought to use inexpensive or typical materials in interesting ways: for example, by producing arresting visual rhythms using hung acoustical ceiling baffles, wood stair slats, and glass office fronts. 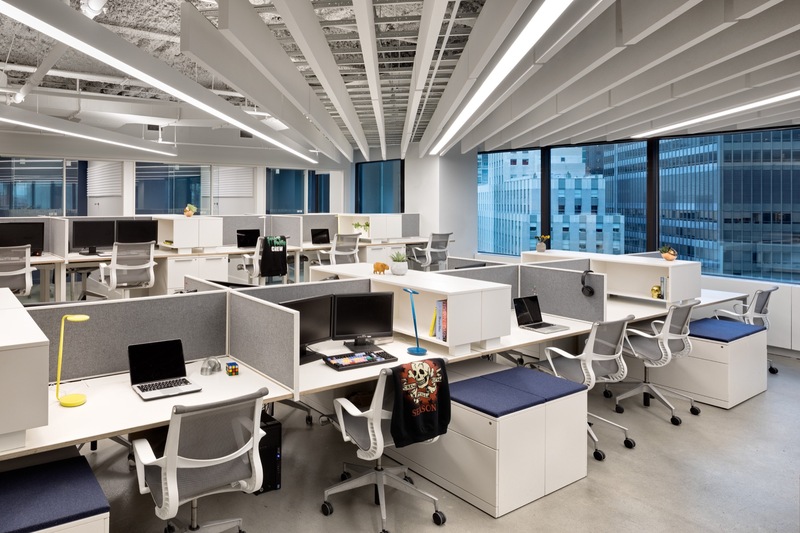 And as white tends to imply spaciousness and give a light open feel, we applied a predominantly white palette in the space–and kept it from being monotonous by complementing it with dashes of bright color throughout.